On Saturday I gave you my Gold, Silver, and Bronze winners for the Magic Kingdom, along with those for Cindy and Sophie. Today I’m sharing with you my Gold, Silver, and Bronze winners for Epcot. 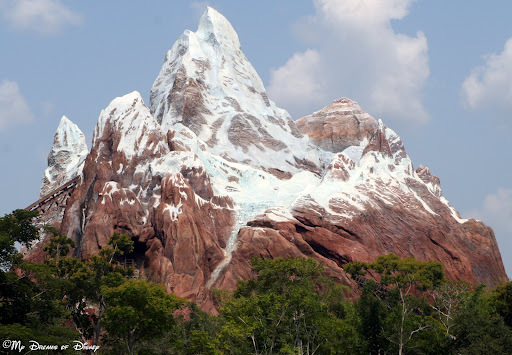 Tomorrow I’ll share my Gold, Silver, and Bronze winners for Disney’s Animal Kingdom, and on Thursday I’ll share my winners for Disney’s Hollywood Studios. Finally, on Friday I’ll give you my Gold, Silver, and Bronze winners for the Walt Disney World Resorts. Illuminations is my favorite fireworks show at Walt Disney World. I like it more then Wishes not because of the fireworks so much, because without a doubt, Wishes has better fireworks. I like Illuminations better because of the music. It is moving, it is poignant, and it never fails to get me each and every time. The music, and the show itself, does a great job in my opinion of bringing the countries of the World Showcase together; of pointing out that while there are differences in culture, language, and other factors, there are also a lot of things that are similar about us, starting with how we all share the world we live in. I know that Spaceship Earth isn’t on most people’s top three at Epcot. There are so many other great attractions at Epcot, why didn’t I choose one of those? Well, for me, Spaceship Earth has it all. A great structure with its geodesic dome; an attraction that is dark, but also highly entertaining to me as it traverses through time. 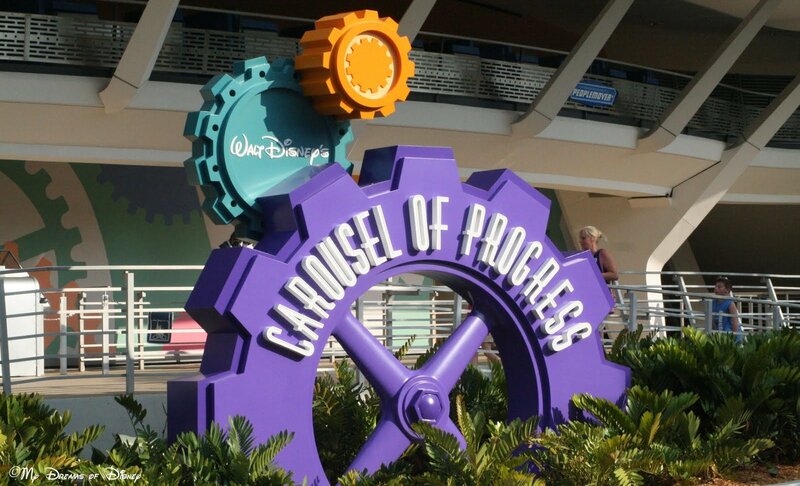 An educational ride, this attraction also is just downright cool as you travel throughout the structure. Spaceship Earth is 180 feet high at it’s highest, although you wouldn’t know that during the ride. One of the changes that they made during the last renovation was the questions that you answer to help you decide what your future might look like. I always enjoy that, and think it adds to the attraction. The Mexico Pavilion is my favorite pavilion of all in Epcot’s World Showcase. I like it because it has so many facets working for it. The structure itself is based off of a real Aztec Pyramid: the Temple of Quetzalcoatl at Teotihuacan, Mexico. Inside the Pavilion, you leave the intense Florida heat in the summer, and end up in an evening Mexico open air market, with shops, restaurants, and evening entertainment. You’ll find the San Angel Inn where you can enjoy dinner while you watch the boats for the Gran Fiesta Tour Starring The Three Caballero’s pass by. Or, for the adult beverage people out there, you can take in the La Cava del Taquila. Like last post, I’ve got Cindy and Sophie’s picks as well for their Gold, Silver, and Bronze winners. 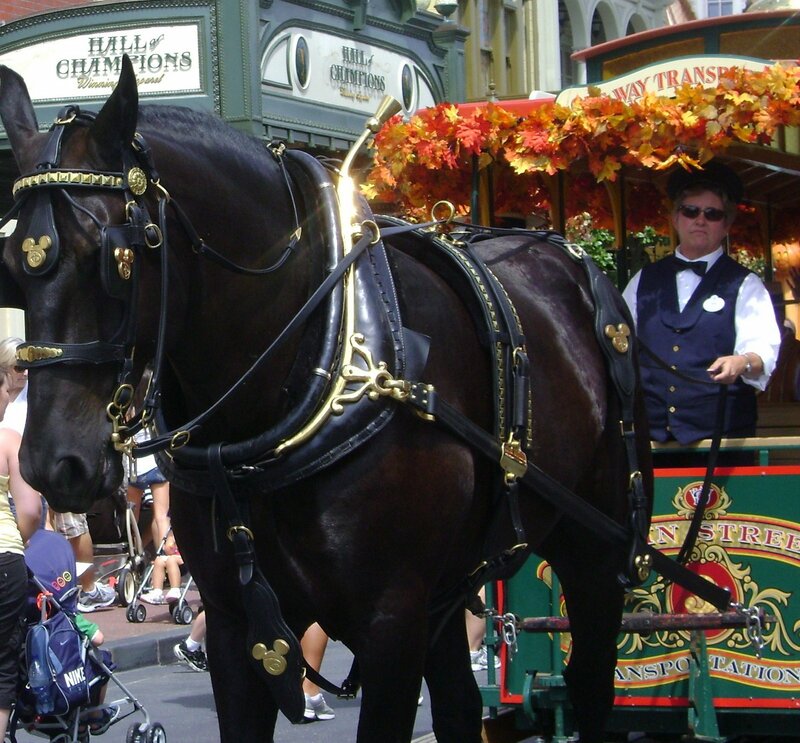 Disney In Pictures – Disney Trains! 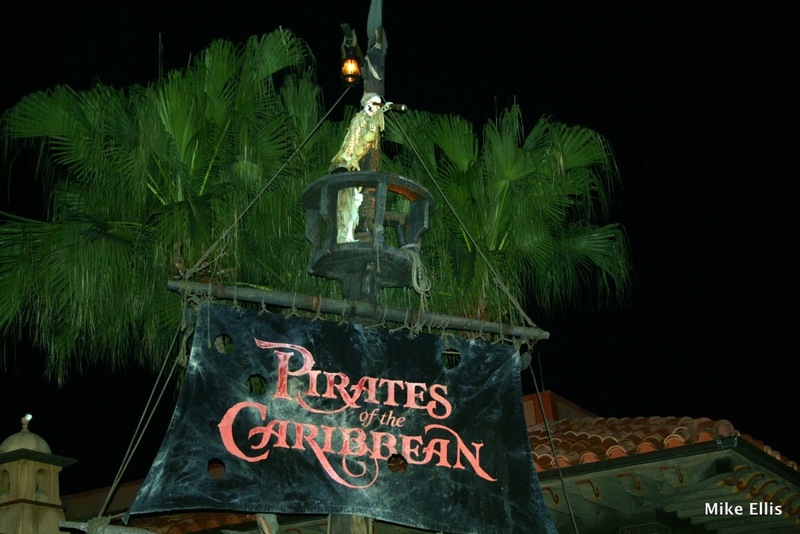 Hello, and welcome to another week of Disney In Pictures! In this week’s edition, we are looking at one of my favorite things: Trains! I asked you to submit your favorite pictures of Disney Trains, whether that be pictures from the Walt Disney World Railroad, or from the Monorail, or from Rafiki’s Planet Watch, or even something else that I’m not thinking about! I asked, and you delivered! Thank you for sending me your pictures, now lets get on with the show! This is a phrase I can never grow tired of hearing…As a matter of fact it is the ringtone on my phone! 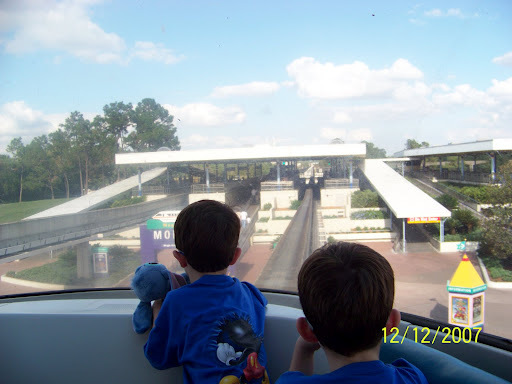 Come along on the ride of a lifetime and see what it looks like to ride in the front of the monorail around Walt Disney World…. February 25, 2009 marked my 35th birthday and I had lots of firsts happen at the park on that Magical day. It was the first birthday that I got to spend in the parks with my 4 yr old daughter!! It was so much fun having a Mommie and Daughter weekend. We were on our way over to the GF for dining reservations for my birthday dinner at 1900 Park Fare. Did I mention Cinderella has always been my favorite princess? So why can’t this Mommie have a character meal too? I’ve never sat up front and this was the royal treatment for me. When we boarded I had chills thinking of all the years I had wanted to do this and I finally got to on MY birthday! It was so cool seeing what things looked like from this perspective and I got some AMAZING photos from the trip around Seven Sea Lagoon. It is so sad that it’s a privilege of the past but I’m glad that I can say my daughter and I got to celebrate and ride with the pilot on our special trip together. All aboard! Here are two of my favorites, both from Fantasyland! Here’s a great memory: the old Toontown Station and the brand new Casey, Jr. water play area! Toontown always made me feel like I’d just stepped into a ‘toon! The Casey, Jr. Water play area is right next to the new Fantasyland Train Station. It’s a great way to cool the kids down on a hot day and is themed really nicely to the movie DUMBO. Thanks for the topic this week! Grins! Teresa from Mouze Kateerz is next. She went beyond trains, and that’s perfectly okay with me! She has the following pictures to share. Enjoy! The Walt Disney World Railroad is another favorite of mine!! We cannot leave out the ever present Disney Bus Transportation system!!! With a Christmas Train underneath! My first year of Christmas season at Disney–soon I’ll be going for year 2! Such breathtaking colors! I’ve never been to the Flower and Garden Festival, but that’s another on my bucket list! :) Thanks for taking us there in spirit, Deb, even if it’s just in these two photos! 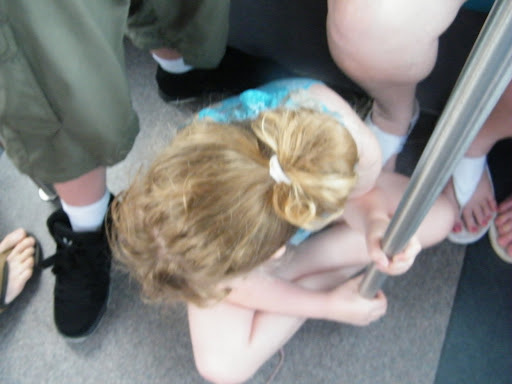 I wanted to send these pictures in because this was one of my family’s favorite “rides” at Disney World before they stopped allowing it. 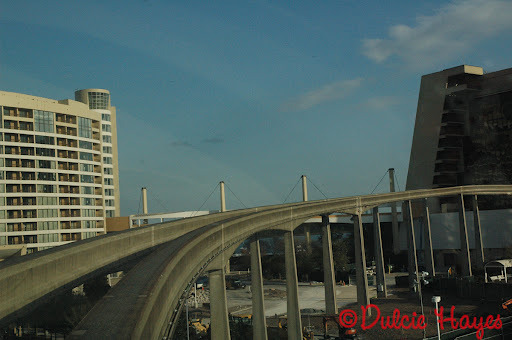 My kids still ask if we can ride in the front of the monorail every time we go! I know exactly what you mean! My wife, daughter and I did that also one year, it was such a tragic accident that forced this to end, but I for one would like to be able to enjoy that again. 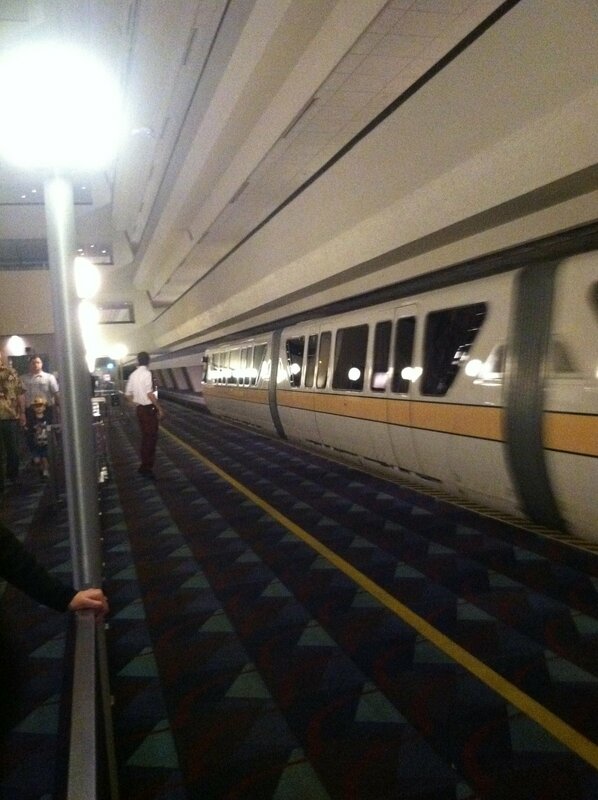 I guess I’ll need to become a Monorail pilot when I retire! The Walt Disney World Railroad is one of those attractions that just takes me away, and allows my mind to travel back in time to the days when majestic trains like these graced the country. Here are a couple of my favorite pictures of the trains. Enjoy! Thank you all for stopping by to visit and see your pictures! I enjoy opening this post up to you every week. If you have any suggestions for themes that you would like to see explored, leave them in the comments, shoot me an email to mickey@mydreamsofdisney.com, or leave them on the Facebook page! Thanks! Disney In Pictures Theme: Disney Trains! Izaiah on the Walt Disney World Railroad! Disney In Pictures: Hidden Mickeys! Lastly, include your blog address if you have one! I’ll collect them all, put them in my Disney In Pictures post and share them with our readers this Sunday. Thanks for sending me your photos every week. It’s a treat to me, and it means a lot to me that you share your work with us! Thanks everyone, and have a great night!